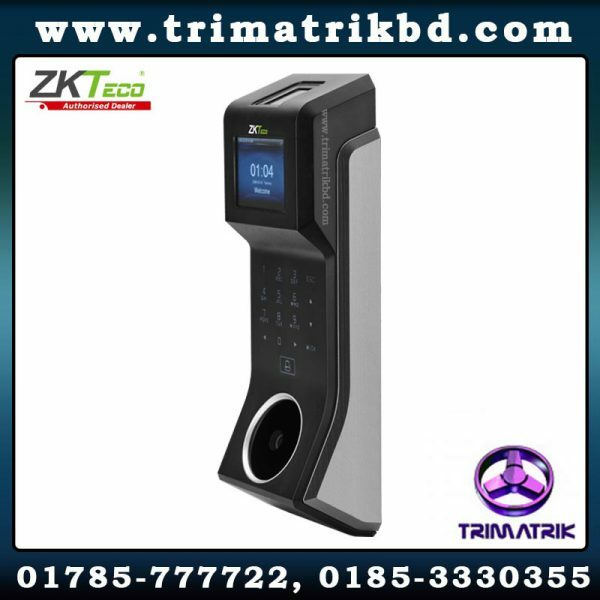 PA10 is a time attendance and access control terminal with Palm & Fingerprint Hybrid Biometrics. The Palm verification includes Palm Print & Palm Vein, so it not only is touchless, but also supports antispoof function. The BioID sensor possesses outstandingly high identification rate towards dry, wet and rough fingers. TCP/IP, RS485, PoE (optional) and Wi-fi (optional) are also available which enable PA10 to be applied in different networks and various situations. Fast and Accurate Fingerprint and Facial Identification Algorithm1 stand or 1 touch a second user recognition. Stores 1500 faces and 2000 fingerprint templates Multiple Verification Modes20 verification modes are available to improve security level. Default verification modes are Fingerprint only, Face only or RFID only. Other 19 modes are available. Good Performance in Dark EnvironmentInfra-red optical system enables machine to work well at night.